Unofficially, however, he is based almost everywhere. Bürkner is a man on the move. He tries to visit every company office and meet every partner at least once a year. Considering BCG has 71 offices in 41 countries, that makes him a very frequent flyer. His New York office was split up to house more consultants and he runs the business from his briefcase. That might give the impression Bürkner operates at a sprint, barking orders to subordinates stumbling in his slipstream. In fact you’d be hard pressed to find a quieter, less flashy CEO. Both colleagues and commentators describe him as thoughtful and unpretentious. His standard attire of a blue suit and unremarkable tie speaks of a man who is both highly practical and happy not to stand out from the crowd. His achievements, by contrast, do stand out. 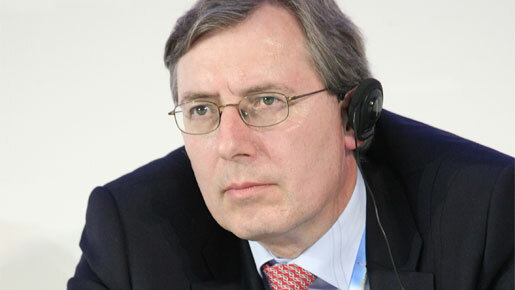 He was elected by BCG’s partners to the office of president and chief executive in 2003. The company has grown from 2,600 consultants then to 4,400 today, out of a total workforce of 7,000. He was re-elected for a third term of office in 2009, taking his tenure to December 2012. In the previous six years, the firm opened seven new offices around the world, grew the size of its partner group by more than 60 percent, and established itself as a full-service management consultancy with a global reach. Working with everyone from social entrepreneurs to multinational corporations, BCG claims with some justification to be the world’s leading advisor on business strategy. In 2010 it was appointed as the sole management consulting firm to advise the Presidential Task Force on the Auto Industry. Its work with the US Treasury Department on the Chapter 11 reorganisation of General Motors and Chrysler won it a raft of awards. At a time when hard-pressed firms and governments are cutting back on consultancy, Bürkner is driving BCG forward by focusing on a key asset: creative thinking. BCG has been renowned for innovation since its ‘experience curve’ and ‘growth-share matrix’ revolutionised strategic thinking in the 60s. Today BCG is putting forward innovative ideas and strategies to help organisations adjust to a world hit by financial crises and changing more quickly than ever. Bürkner has outlined how ‘strategic optimism’ is the way to respond to a time of reduced consumption in the West – but leaders need to rethink their business models. But, he notes, future growth ‘depends on our willingness to change the way we do things’. With the eyes of the business world firmly fixed on emerging markets China and India, Bürkner is in a strong position to capitalise. He first analysed both countries’ development strategy while working on his MA 30 years ago, and studied Chinese at Ruhr University. He recognises that future profits are to be made here, although it takes time and an insider’s knowledge of the markets to do so. ‘You can appreciate the opportunities and challenges only if a significant number of your decision-makers are from the emerging markets. You can’t run this sort of business purely with a US, French or German team,’ he told India’s Business Standard. The scale of the turnaround could be profound. At 2008’s World Economic Forum in Davos, Bürkner said the capital moving from East to West could soon come with strings attached, much like Western ‘conditional aid’ used to bind developing countries to certain policies. ‘Why should it be any different the other way round?’ he said. Bürkner owes much of his approach to management to a former colleague. When he joined BCG in 1981 Tom Lewis was a principal and became a role model to the younger man. Bürkner was particularly taken by the way Lewis moulded a group of disparate people with notable strengths but obvious weaknesses into a high-performing team. It’s a philosophy he has followed ever since. Under his leadership BCG actively goes out to recruit people with different work and educational experience – doctors, lawyers, sociologists. In 2004 he established a ‘people team’ at BCG with a mandate to work on company-wide initiatives in areas that include career development, alumni relations, work-life balance and women’s issues. It has helped to ensure that BCG is one of the companies most highly-regarded by employees. In its third annual Employees’ Choice Awards, jobs website glassdoor.com placed BCG in the top ten of best places to work, with Bürkner receiving a 94 percent approval rating. This came only weeks after BCG ranked near the top of Fortune’s 100 Best Companies to Work For list for the fifth consecutive year. A commendation from Working Mother magazine recognised the company’s global Women’s Initiative, led by Bürkner, which aims to make the company the very best place for women who want a career in professional services. All this is Bürkner practising what he preaches. The successful future company must be fluid, asymmetric, with overlapping networks rather than rigid hierarchies, he says. His own ‘strategic optimism’ is clear in his statement that he has prepared many entry strategies but never an exit strategy. And this quietly determined CEO sees his role as a facilitator, bringing people together, rather than a luminary to be admired from afar. ‘One needs to be very careful not to put leaders on a pedestal,’ he told the Business Standard. ‘The hero is the team’.